It's one of those fad workouts that actually works, but cycling is intimidating to many. However, once you navigate through all of the intricacies, it could be a life-changing source of cardio! Short time commitment, but a big payoff. That's the secret behind HIIT: High-Intensity Interval Training. 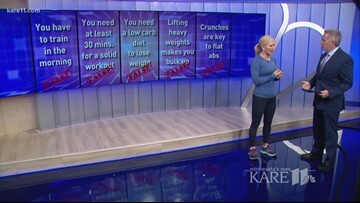 GetHealthyU's Chris Freytag shows us it's easy to get started! 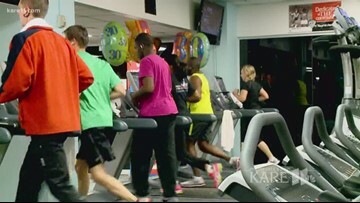 GetHealthyU's Chris Freytag shares her tips for High Intensity Interval Training. A new workout can be intimidating, but once you try something new it could open new doors for your health and wellness! We're testing out some common-yet-terrifying exercises, including pilates. If your job keeps you at your desk, have no fear! There are ways to stay limber and avoid stiffness at work. Do your hips and joints get stiff on the job? Take just a few minutes and try these stretches. Keep your waist slim and your wallet full by using these four tips for working out on a budget. Sure, health clubs are great -- the latest gear, professional trainers, fancy surroundings -- but they can be awfully expensive. Motivation Monday: 11 fitness myths busted! Some of the most common health and fitness advice is just plain wrong! Maintaining flexibility is key to feeling good and preventing injury, and for many, yoga can help. Some of the most common health and fitness advice is just plain wrong. MINNEAPOLIS -- The never ending quest for a perfect workout is taking studios to new heights. Amenities galore, professional sound system and lighting are a must. At ALTR Studio in Minneapolis, community is also a huge selling point. Newly opened ALTR Studio in Minneapolis' North Loop hopes to provide something more. Co-founder Vincent Amendola says everything at ALTR was "designed to fit into busy lifestyles." Motivation Monday: Is "portion distortion" sinking your diet? Americans tend to judge a restaurant by how much food they put on your plate. It might look tempting, but our love affair with large portions is not doing our health much good. Is "portion distortion" sinking your diet? Motivation Monday: Is "portion distortion" sinking your diet? Chris Freytag busts the myths.